A complete list of mostly free essential WordPress plugins that every Wordpress blog must have as he embarks on the blogging journey. In this article, I will discuss the essential WordPress plugins that every WordPress blog must have in 2019. These plugins will supercharge the WordPress website. In the sea of plugins available for WordPress, it becomes confusing which one is the best one to be using for what you want to do. The principal reason I built this list of the most essential of essential WordPress plugins one needs in 2019. This list of plugins is a must have for any WordPress blog or website. The list entirely focuses on plugins that are free (but some are premiums), mandatory, lightweight, have fantastic features. Another key point I want to mention is I have compiled a useful guide on How to Build a WordPress Website. This guide will significantly help you craft your websites in WordPress without any technical expertise. Henceforth, without much of ado, let’s play the plugin list. 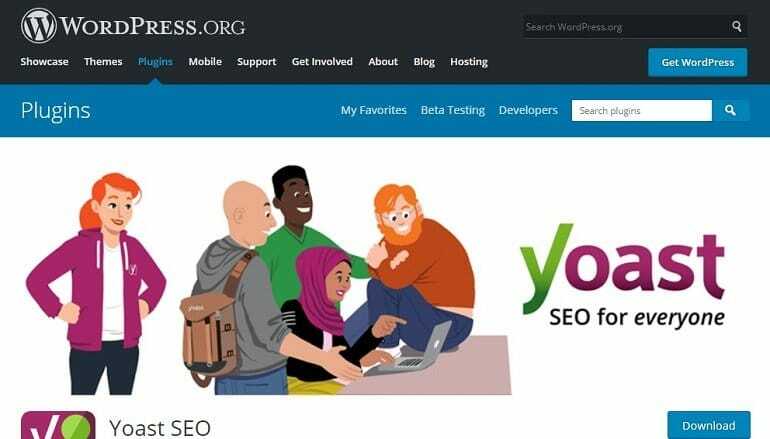 Yoast SEO plugin is the best WordPress plugin (since 2008) to power up your website SEO game. It is free with limited functions. Yoast guides users to achieve high ranking in the Google and Bing SERPs. Take a look at what Yoast does regarding website functionality and SEO. Best internal linking feature to tell you which existing content is related to the current one being written. And lot more features when you go with premium Yoast subscription. Contact Form 7 by Takayuki Miyoshi helps WordPress users to create forms without the help of a developer. It supports Ajax-powered submitting, CAPTCHA, Akismet spam filtering and so on. One can configure contact form 7 on pages where you want them. Detailed information about the contact form 7 setup guide is available at contactform7.com. AMP stands for Accelerated Mobile Pages. This WordPress plugin automatically adds accelerated mobile page functionality to your WordPress site. AMP makes your website faster for mobile visitors. Listed below are some exciting features of the AMP plugin. Support for Google tag manager. Jetpack is 3 in one plugin that offers hassle-free integration of WordPress.com features in self-hosted WordPress sites. The user can create and customize their websites using JetPack. It has hundreds of professional themes to design various websites. Jetpack also provides powerful customization tools and lazy image loading for mobile devices. On top of that, it also provides the powerful WordPress CDN to serve images. Login Lockdown restricts malicious and forceful logins to your WordPress panel. It records the IP address and the time stamp of every failed login attempts. If a user tries to log in for more than the speculated numbers of times from the same IP, then the login function is disabled on that IP. The site admin can, of course, unlock the IP address manually afterward from the panel. Pretty Link is a significant WordPress link tracking plugin. It helps mask affiliate links. (To track pretty links clicks, you can use Google Tag Manager) What pretty links do is it shortens links. Everyone does with bit.ly or other external link shortening tool. But they aren’t links from your domain. Pretty link not only shortens the link but also tracks every hit on a link. It provides a detailed report of the browser, operating system, and host where the hit came from. Really Simple CAPTCHA either within Contact Form 7 or any other plugins. It is not intended to work alone. Users can integrate it in their contact form plugin for added security. As the name suggests it is simple to use. Disqus is a popular commenting system to grow reader engagement, audience, and traffic. Using Disqus you can directly connect with blog comments audience. It is a way to build a loyal readers base with real-time interaction with users. It helps in retaining them for a long time. Akismet checks comments and contact form submissions against possible spam. It performs an auto check for all comments to filter out the spam one. Each comment scanned by Akismet will have its own history to see which one is clean. The spam comments will be cleared by Akismet. If you are using Really Simple Captcha, along with disqus comments, you don’t need an Akismet plugin at all. WP Rocket is the best cache plugin for WordPress. Though we have W3Total Cache as the free alternative, WP Rocket is way above all the paid alternatives. The most important of all, it makes WordPress load much faster. 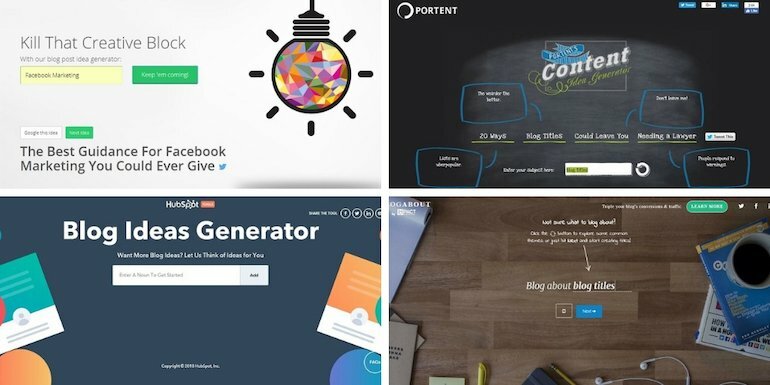 Here are some free alternatives just in case you don’t want to spend $39/yearly. VaultPress is a real-time backup and security scanning WordPress plugin powered by jetpack, designed and built by Automattic. It effortlessly backs up every post, comment, media file, revision, and dashboard setting on your site to their servers. In other words, VaultPress safeguards user towards potential malware attack, hackers and undue accidental damage. The paid plans include automated daily backups of the entire website, 1-click restores, stats, priority support, brute force attack protection, uptime monitoring, spam protection, site migration, and an activity log. Smush is an image compression and optimization plugin for WordPress. A user can optimize 50 images in a single click using Smush. The point often overlooked while compressing an image is – 30% in quality. Smush strips down heavy information from images and reduces image size without affecting the appearance. It efficiently scans every single image uploaded and cuts all the unnecessary image meta data. Smush works fine with any plugin that you use to manage your WordPress media library. MonsterInsights is a popular (2M active installs) Google Analytics plugin. It shows valuable statistics that are essential for your business to grow. It allows the user to enable all Google Analytics advanced tracking features. Access actionable analytics reports right WordPress dashboard. MonsterInsight helps you filter the stats that are really important for your website growth. MailChimp’s WordPress plugin allows visitors to subscribe to your newsletter service by tightly integrating WordPress & MailChimp account. Simply connect your MailChimp account and get started. It integrates with many plugins like WooCommerce, contact form 7, WP Forms etc. You can avail a bunch of add-on plugins like MailChimp for WordPress Premium, MailChimp Top Bar, MailChimp Activity, MailChimp User Sync, etc. AddThis is to add media share button plugin to a website. The plugin does the same for WordPress. It connects you with more than 200 social channels including Facebook, Twitter, Pinterest, Whatsapp, and many more. AddThis offers 4 types of share buttons viz Floating, Expanding, Inline, and Image sharing buttons. This plugin should be your choice certainly because it is compatible with all device, offers a wide selection of social media platforms. TabePress is a free WordPress plugin to help users create and manage tables in the content. Even works with latest Gutenberg Editor. Users can embed tables into a post, pages or text widgets using a simple code. Heavy coding is not required as tables can be edited in excel kinda interface. One can add formulas or any kind of data using Tablepress. If you have readymade data tables in Excel, CSV, HTML or JSON file formats, it can now be imported into WordPress post or page with this plugin. Sending emails from the server should always be avoided. On top of that, WordPress sends emails from wordpress@yourdomain.com. It is never a recommended email to send emails from. To customize the “from name” and “from email” of outgoing emails, one needs a plugin anyways. So the best alternative is to use an external email server like Amazon SES or any other external SMTP service provider to send emails inside WordPress. It not only reduces the load on the server but also makes sure emails have a customized with the “from name” and “from email”. So this is it with the list of much essential WordPress plugins every blog should have in 2019. I have been using almost all of the above-mentioned ones on all my blogs. Henceforth, my experience is good till date and I recommend you too.